The latest, new iPhone 5 is the buzz all around and is now rumored again to be featured with some additional features and specs like the thinner and taller chassis and the metal flat back body. As per the latest report by the source iLounge, the new iPhone 5 will be there with taller body, wide 4 inches screen as well as 20% reduction in its thickness. The new iPhone will be taller!!! The source also claims that the new iPhone by Apple will be there with 10mm taller height than the previous iPhone 4S as well as will be 2mm thinner. Through keeping the same sort of width along with tossing in the screen display to easily fit the form factor, the brand is sure to deliver and offer more display space than what is there on the 3.5 inches iPhones. What about the display screen? As per the reports, the screen is tall and not wide, these claims make sense as it will allow Apple to actually make the display of the phone larger and that too without even forcing the users to have wider grip of the handset when they use it. The report further makes mention of the new and latest Dock Connector for iPhone 5. This new connector has some pins than the present 30 pins dock and so the connector will surely be smaller in size. The connector in the new gadget is there will be the pill shaped one that is a bit larger in size as compared to the speaker on bottom of iPhone 4. What is more expected in the new iPhone is the Qualcomm Long Term Evolution 4G chip as well as the in-cell touch panel system. All these new “rumored” features just seem to be mind blowing and amazing. Although the handset’s front will be just the same, its back will be there with the metal and flat panel that will stretch from beneath its camera to about its bottom. It is not still known why the phone will be there with the extra elements and specs. Apart from its metal panel, the phone will have the Gorilla Glass 2 technology, which is yet another exiting feature to enjoy. 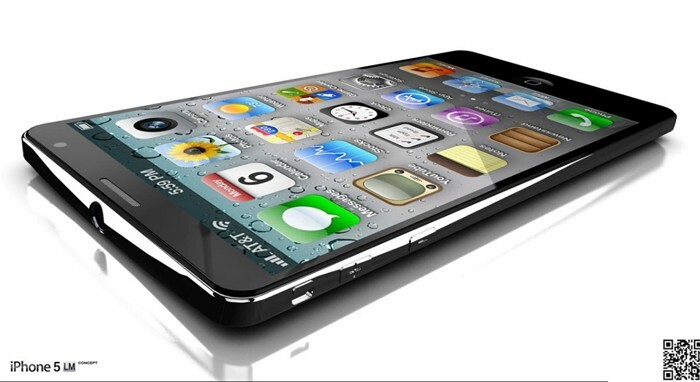 So, what do you actually think of the rumored design and features of the new iPhone? Will the thinner and taller device seem to be your next purchase? All the buzz and rumors in regard to the iPhone 5 may be true or may not be, it is sure that the rumors will pop up every now and then till the phone actually gets launched or released in the markets.